President Muhamamdu Buhari on Monday received the report of the Technical Advisory Committee on the implementation of the new National Minimum Wage at the Presidential Villa, Abuja. President Buhari had on Jan. 9 inaugurated the advisory committee chaired by an economist and financial expert, Mr Bismarck Rewane, where he reiterated his commitment to an upward review of the minimum wage. 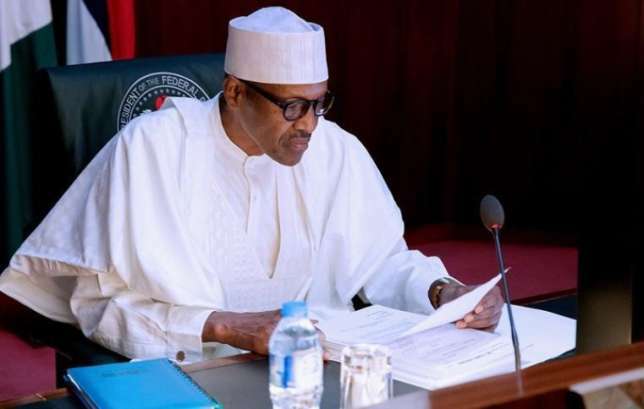 The president had on Dec. 19, 2018 while presenting the 2019 Appropriation Bill at the joint session of the National Assembly announced his intention to constitute the committee. He said the committee would recommend “modalities for the implementation of the new minimum wage in such a manner as to minimise its inflationary impact as well as ensure that its introduction does not lead to job losses’’.